Discipleship has lost traction in our fragmented society. Once upon a time we had been discipled simply by exposure to the gospel both in teaching and in practice several times a week. Now, however, packed schedules and enticing alternatives to the classical Christian community have left us searching for ways to make disciples in the modern world where even professing Christians seem to have left their faith behind when it comes to everyday living. Fortunately, resources are out there for us to help answer these questions. 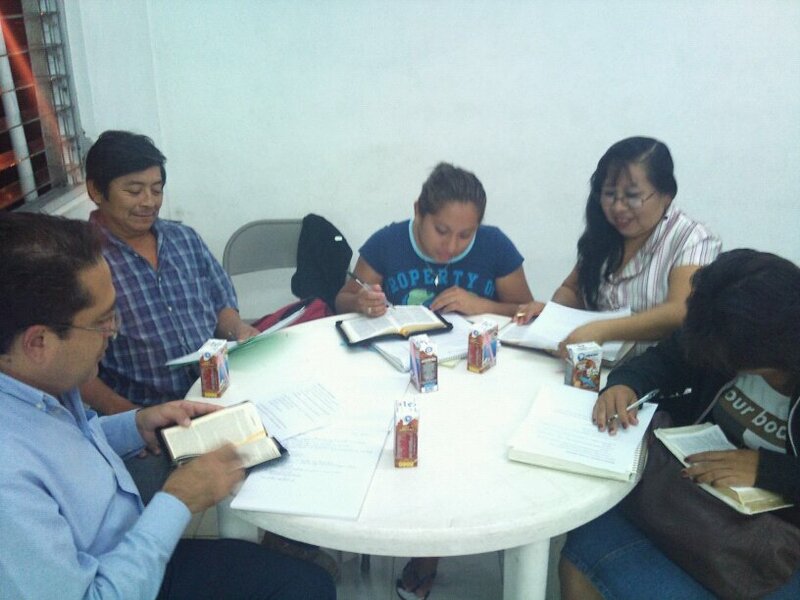 Recently, El Centro Cristiano Gólgota has begun an intentional discipleship program based on materials offered for free by Global University. We’ve been blessed to be a part of team working to adapt the individual studies to a group format. Meeting once a week, we’re going step by step through the process of Christian growth with the goal of making discipleship a tangible, achievable process. The picture above is of one of those sessions. How about you? Have you’ve been wondering lately about discipleship? Have you heard someone asking aloud what mature Christianity should look like? What steps have you or your church taken to make discipleship an intentional process? I’m glad to hear it. I hope you can put it to good use. I would recommend using it in a one-on-one coaching relationship. This will take the pressure off, so to speak, of the teacher, but allow a conversation to begin that will facilitate spiritual growth. Dave, I really appreciate your blog. I am a US Navy sailor who has visited, and learned from, several missionaries over time. This is why I found your site. I don’t know if God will ever call me to Mexico, or why he’d so so, but at any rate, I am enjoying your writing. I do believe wholeheartedly in mentorship and discipleship. I practice mentoring in the Navy with sailors and young believers. I think we could simply turn the world upside down if we’d recapture mentoring/discipleship.